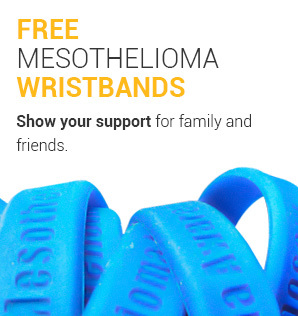 There are different types of radiation therapy that are used to treat mesothelioma patients. 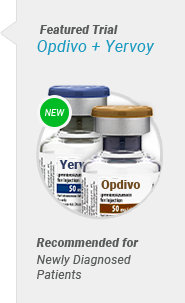 These options are evaluated after examining tumor size, metastasis, staging, and general health. 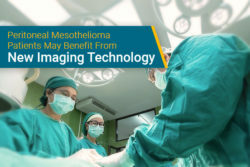 Radiation therapy is unique among mesothelioma treatment options in that it can typically be used at any stage of a patient’s mesothelioma. Radiation therapy can also be used for both palliative and potentially curative purposes. External beam radiation is the traditional form of radiation treatment for cancer patients. Traditional external beam methods use X-Rays or CT scans to administer radiation. 3-Dimensional conformal radiation therapy is an advanced form of external beam radiation. 3D-CRT is a precise method that allows the tumor to be directly targeted. Intensity-modulated radiation treatment is another form of external beam radiation. It differs from other external beam methods in that it can administer different levels of radiation simultaneously. Intraoperative radiation therapy is the only radiation that is delivered during surgical procedures. It involves applying radiation directly to cancerous tumors for maximum results. There are 2 general types of radiation therapy, external beam radiation and intraoperative radiation therapy. Each depends predominantly on the size of the tumor and how far the radiation has to travel through the body to reach the tumor. Intraoperative therapy is typically given to patients in whom radiation would pass through too much tissue. External beam radiation, however, is the most common form of therapy. 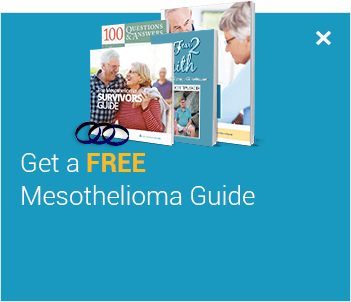 Learn more about radiation options available to you in our free Mesothelioma Guide. External beam radiation is effective in treating all stages of mesothelioma. This technique involves using a radiation machine (X-ray, CT) to deliver high-energy beams to the location of the mesothelioma. Doctors take precise measurements of the tumor. This is to ensure that radiation beams directly target the tumor without damaging healthy cells. The radiation dosage varies depending on the size of the tumor. Radiation treatment only lasts 5-10 minutes depending on the size of the affected area and office visits (from start to finish) are usually no longer than 30 minutes. 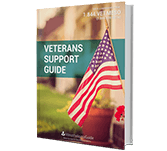 Treatment is usually performed at an outpatient center, 5 days a week, for 3-10 weeks. 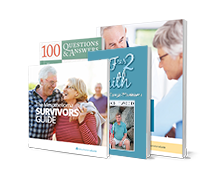 Following treatment, patients follow up with their oncologist about the next steps in treatment and/or recovery. 3D – CRT, a type of external beam radiation, uses special imaging scanners and computers to target the radiation. Computers have become a critical tool in radiation therapy. These specialized computers manage everything from calibration of the radiation machine to taking digital images of the affected area. 3D-CRT uses advanced software and machines to deliver radiation to very precisely shaped target areas. This confines the radiation to the tumor itself, protecting nearby healthy tissue. Less radiation to the surrounding organs results in a faster recovery for patients. IMRT is one of the most advanced types of external beam radiation for non-invasive cancer treatment. Similar to 3D-CRT, IMRT delivers a strong dose of radiation to the tumor. However, IMRT can produce different levels of radiation at the same time. The beam strength can be increased on larger parts of the tumor resulting in more damage to malignant tissue. Nearby tissue is damaged much less because lower amounts of radiation are used along the margins of the tumor. Patients experience faster recovery because less healthy tissue repair is required. However, there is an increased risk of toxicity (radiation sickness) with IMRT. Toxicity can include long-term health complications like pneumonia, cardiomyopathy, or coronary disease. IORT introduces radiation therapy during surgical procedures. IORT allows the radiation to directly affect the tumor without passing through the skin and other tissue. IORT has shown to dramatically decrease the chances of tumor growth at surgical incision points. Many patients who have a combination of IORT and post surgery radiation treatment options have fewer complications, including side effects. Ideal candidates for IORT are usually over the age of fifty and have small tumors. Brachytherapy is a type of Intraoperative Radiation Therapy. This procedure involves implanting a small radioactive pellet into the tumor. They can be inserted at the exact location of the tumor to provide a continuous dose of radiation after surgery. Patients who undergo radiation treatment may experience side effects. The side effects come in one of two forms, acute (short-term) and chronic (long-term). Acute side effects of radiation therapy are general fatigue and skin reactions. Patients can feel lethargic and tired because of the energy required to heal the body after treatment. Skin reactions to the radiation are similar to sunburn. 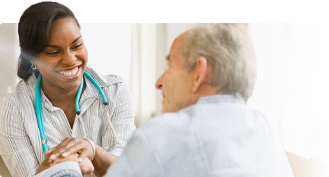 A patient may also experience stomachaches, vomiting or slight pain while breathing. Chronic side effects are rare but depend entirely on the treatment process and the stage of the mesothelioma. Occasional chronic side effects of radiation are: hearing loss, numbness in the hands and feet, and cardiac issues. There have also been rare cases of respiratory ailments and secondary cancers. Radiation oncologists can discuss any likely chronic complications, but they are uncommon in most mesothelioma patients. 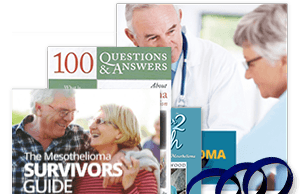 Learn more about radiation treatment in our free Mesothelioma Guide. The type of radiation therapy that is most beneficial for you depend on your specific diagnosis. Clinical trials may provide options not offered by your doctor; therefore, patients are encouraged to enroll in recruiting trials. 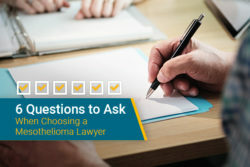 Finding a mesothelioma specialist is the most important thing a patient should do. Only a specialist can prescribe appropriate radiation therapy that can produce the best results for the patient. 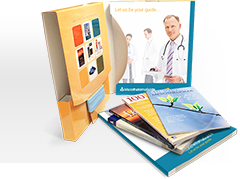 Use our free Doctor Match program to find a specialist who can help you improve your prognosis.